Professor Joordens did his Ph.D. work in Cognitive Psychology, with a focus on human memory and the distinction between conscious and unconscious influences on performance. 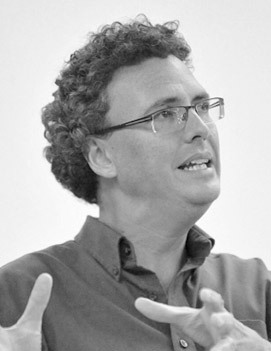 More recently, in his role as Direct of the Advanced Learning Technologies Lab at the University of Toronto (www.altlab.ca), his research has turned towards the creation and assessment of effective educational technologies, especially those that promote the development of transferable skills like critical thought, creative thought, and efficient effective communication. He primarily teaches Introduction to Psychology both at his institution, and also as a Gates sponsored MOOC on Coursera.org and as part if China’s Wisdom Tree platform. He has won many awards for his teaching and teaching innovations including three awards at the national level including a 3M National Teaching Fellow which recognizes a significant and sustained impact on higher education in Canada. One of the innovations from his lab—peerScholar—is used at all major Canadian institutions, and is currently the focus of a five-country, 35-institution research project focused on the development and measurement of transferable skills.